Straight Goods Media: Mac Miller - "Best Day Ever"
Mac Miller released his latest album, Best Day Ever, last night live on his usteam account to over 20,000 viewers. The kids been building his popularity in the industry really well, and this free album will only help him grow his reputation in the music game. We've been waiting on this for a while, getting stoked on the early leaks, as well as In The Air, a track Miller let slip early in the Toronto show. This album doesn't disappoint, featuring great flow and hooks in particular from Miller, over a selection of production that he adapts to nicely. Have a listen to the full album below & download it for free. 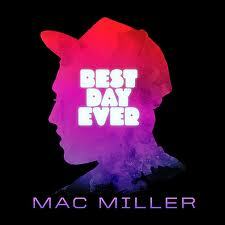 Key your listening to to Get Up, Keep Floatin (featuring Wiz Khalifa), & Best Day Ever (bonus) for best results.